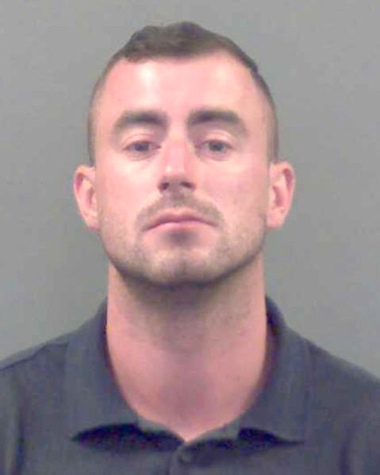 A drug dealer who was involved in a major conspiracy to supply class A drugs and fled the country after absconding during his trial is now serving a lengthy prison sentence. Scott Woods, aged 29 and formerly of West Lulworth, appeared at Bournemouth Crown Court on Friday 20 April 2018, when a 12-year sentence that had been imposed nearly four years ago was activated. He was also sentenced to a further four months for absconding during the trial. Woods had been located last month in Alicante in Spain following investigative work by Dorset Police and the South West Regional Organised Crime Unit. A European Arrest Warrant was executed and he was brought back to England to appear before the courts. Woods was convicted at Bournemouth Crown Court on Monday 12 May 2014 for two charges of conspiring to supply a class A drug, despite absconding during the trial. He was due to appear at the same court to be sentenced on Friday 6 June 2014, along with five other men, but failed to appear. He was sentenced to 12 years in prison in his absence. The six men had been arrested in October and November 2012 following an extensive investigation by Dorset Police’s Major Crime Investigation Team, which unveiled a comprehensive conspiracy to supply class A drugs across the county. At a Proceeds of Crime Act hearing on Friday 31 October 2014, which Woods again failed to attend, he was ordered to pay back £213,185 he had made through criminal activity. He now faces serving a three-year jail term in addition to his existing sentence if he fails to repay the funds. Officers also successfully applied for a Serious Crime Prevention Order (SCPO), which places restrictions on Woods that are aimed at preventing him from reoffending and comes into effect from the day he is released from prison. Detective Inspector Jamie Halford, of Dorset Police, said, “Scott Woods was involved in a major conspiracy to supply class A drugs in Dorset and tried to escape justice by fleeing the country. “I would like to thank colleagues from the South West Regional Organised Crime Unit and all those involved in the operation to locate Woods and bring him back to this country to face justice. Detective Inspector Tony Hubbard, from the South West Regional Organised Crime Unit (SW ROCU), said: “We provided specialist assistance to Dorset Police to ensure Woods, the ringleader in the conspiracy, was found and extradited back to the UK to face justice.